Cardolite® NX-9201 is a di-functional CNSL polyester diol with low viscosity. It offers excellent moisture resistance and hydrolytic stability in aqueous solutions. Its reactivity with isocyanates is greater than other types of diols. 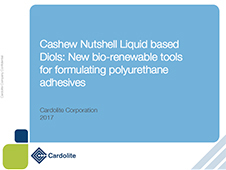 Compatibility with polyether diols and Poly BD are outstanding, thus, when Cardolite® NX-9201 is blended with other diols, it shows significant improvement of hydrolytic stability. 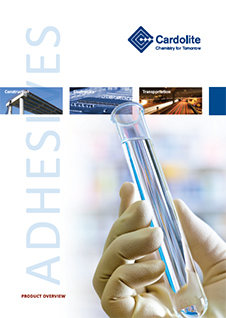 Cardolite® NX-9201 can be used in 1K/2K polyurethane adhesives and sealants, coatings, elastomers, flexible foams.